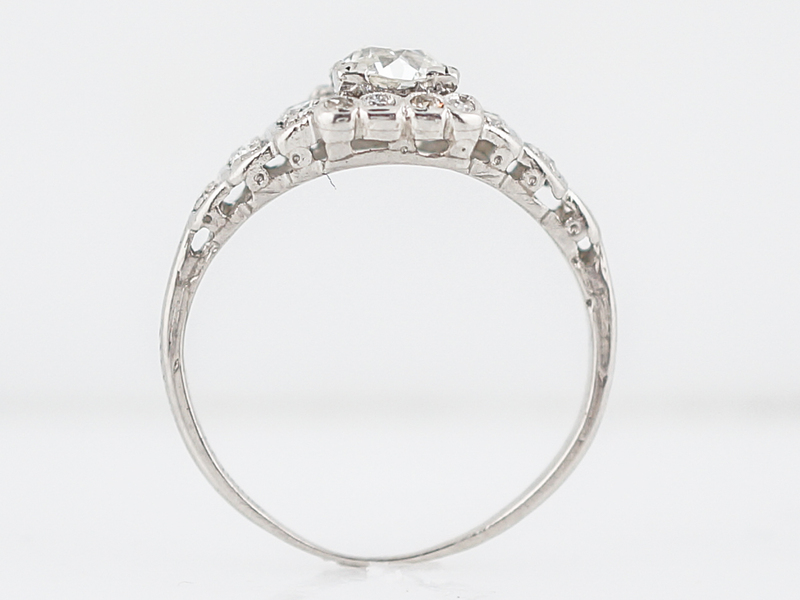 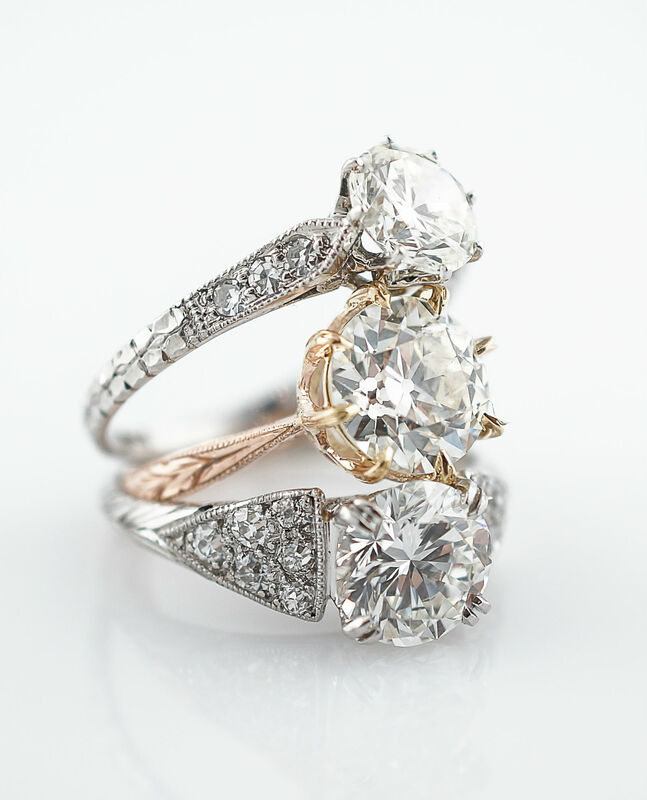 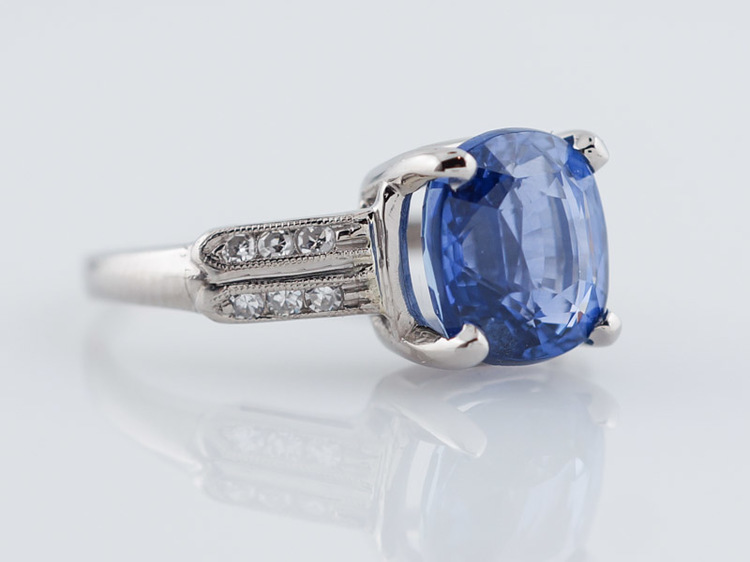 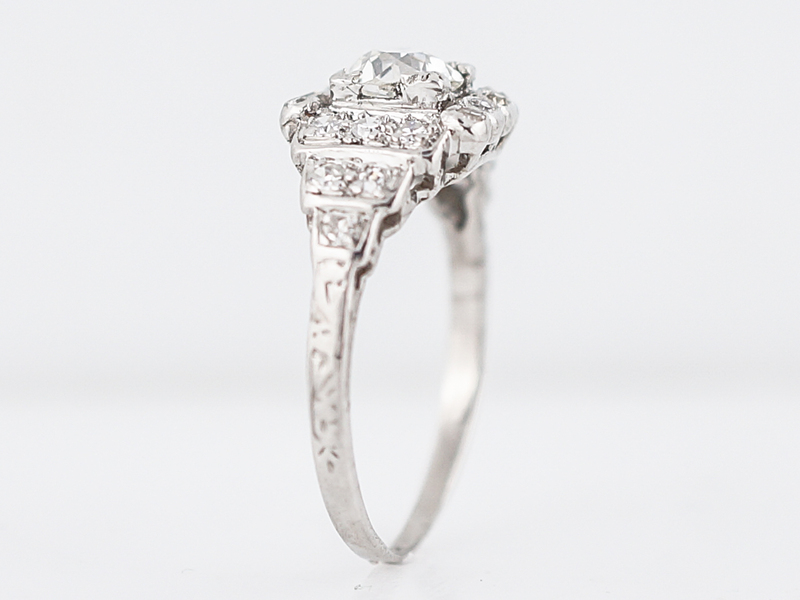 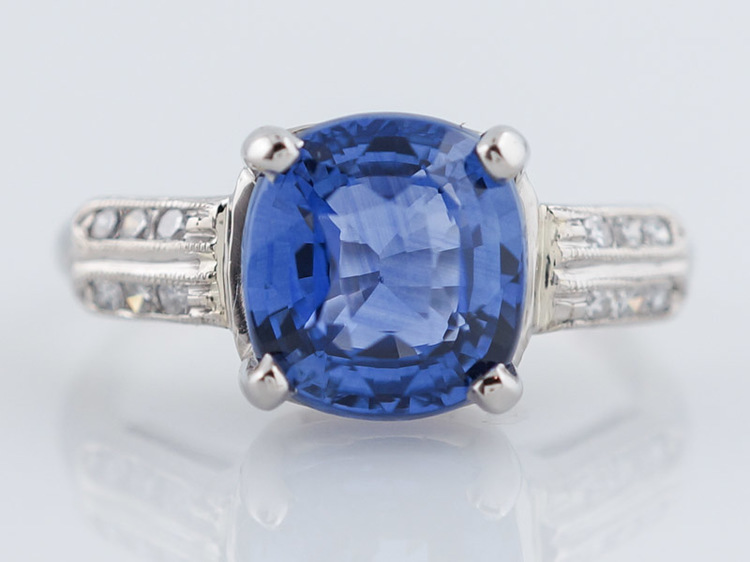 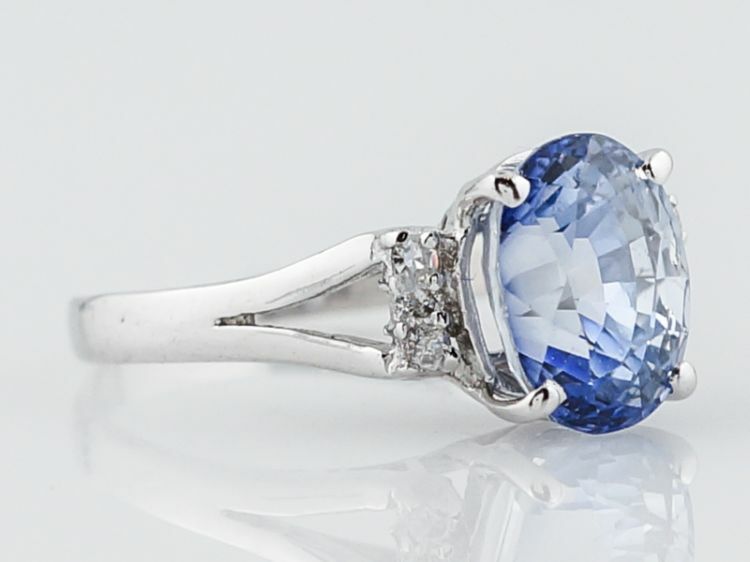 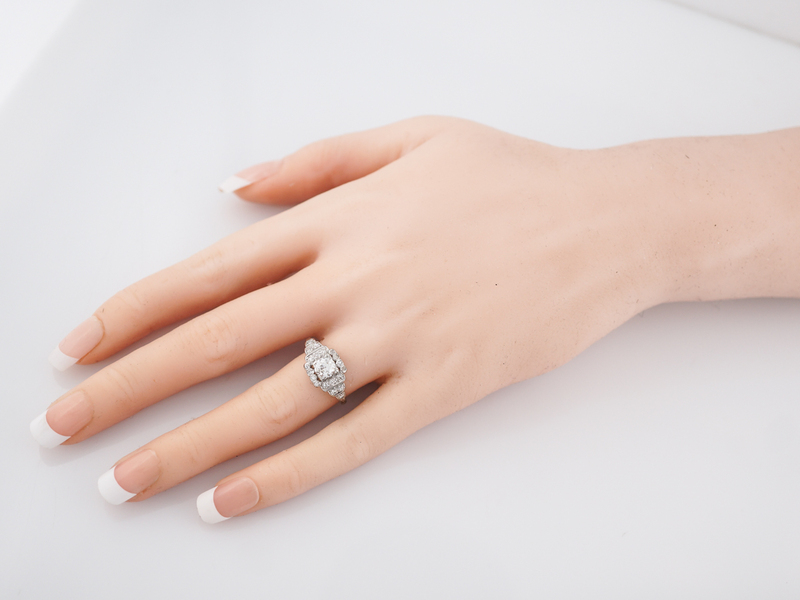 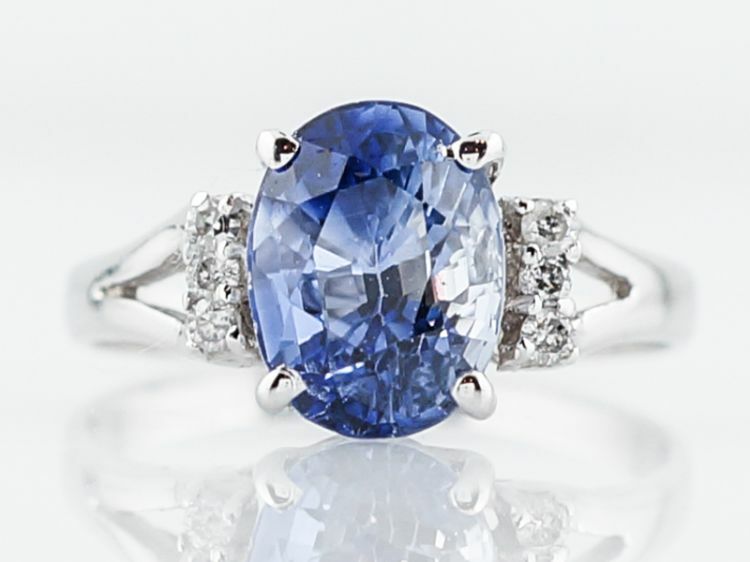 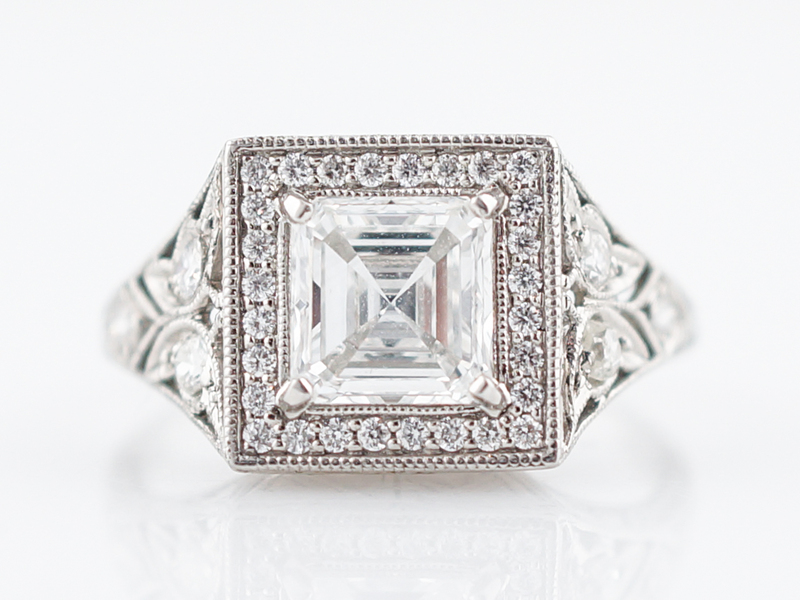 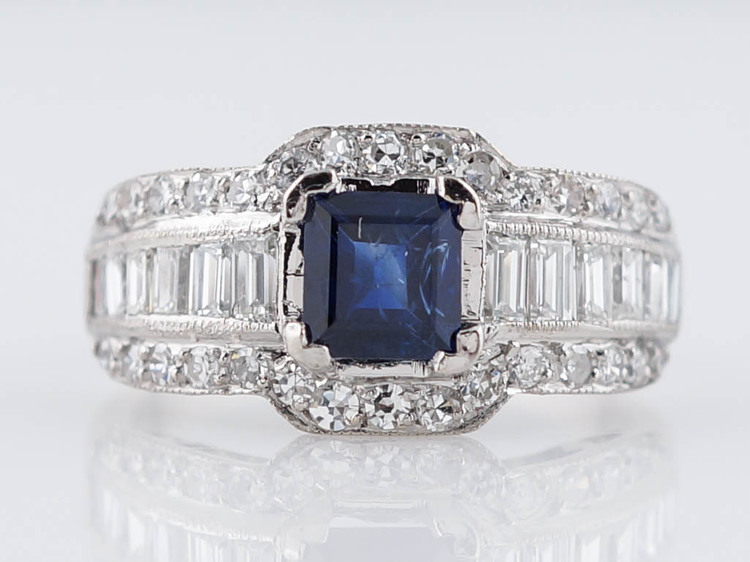 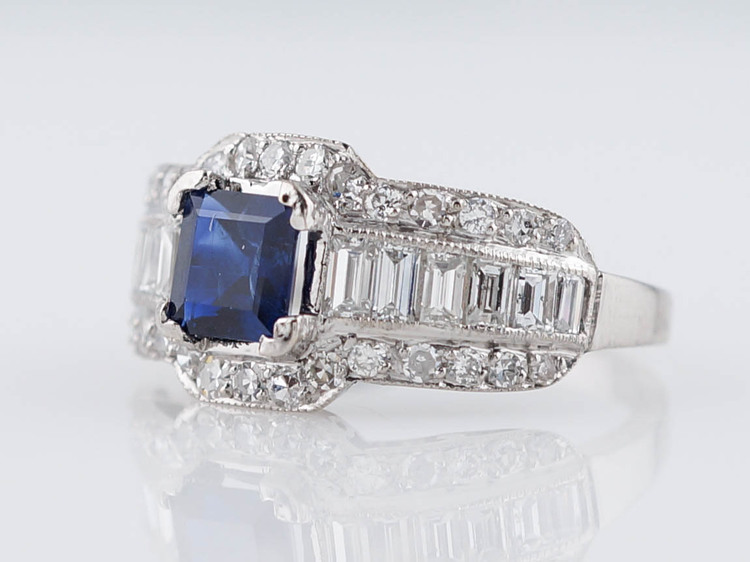 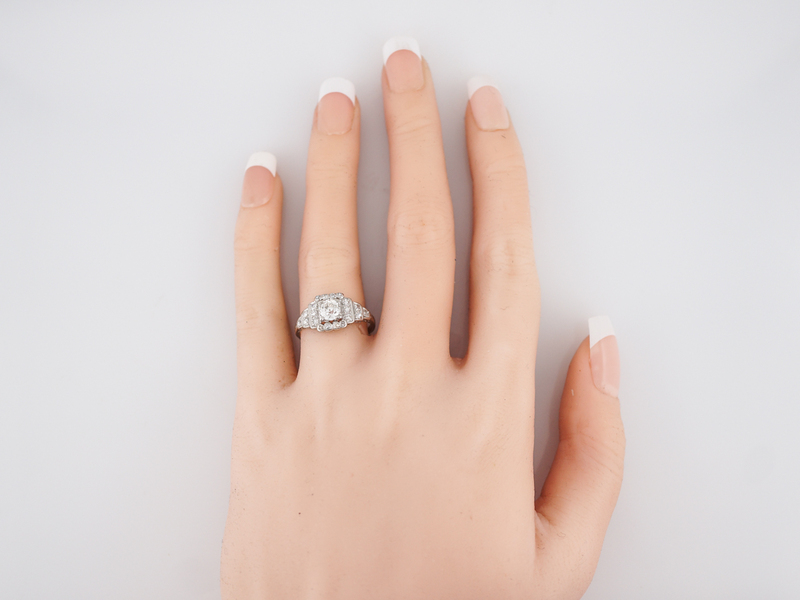 This style of ring is called a step style since the shoulders descend in size like stair steps. 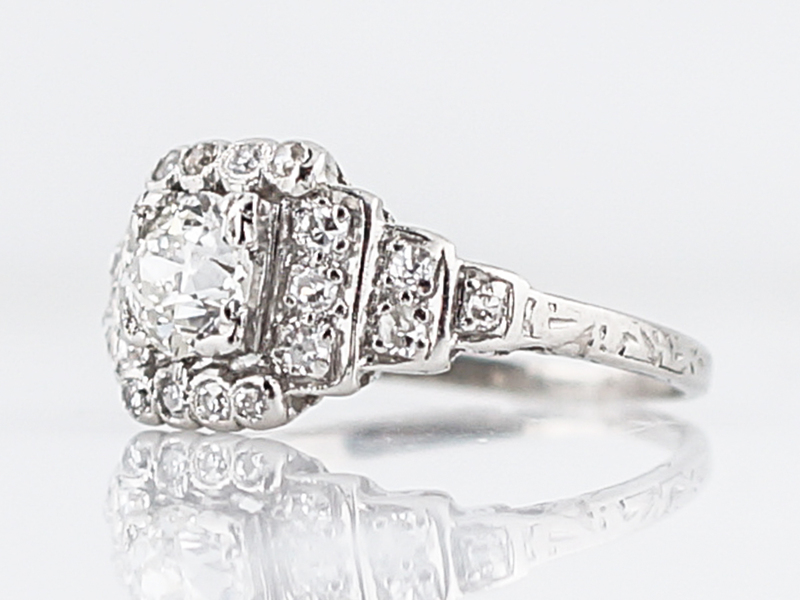 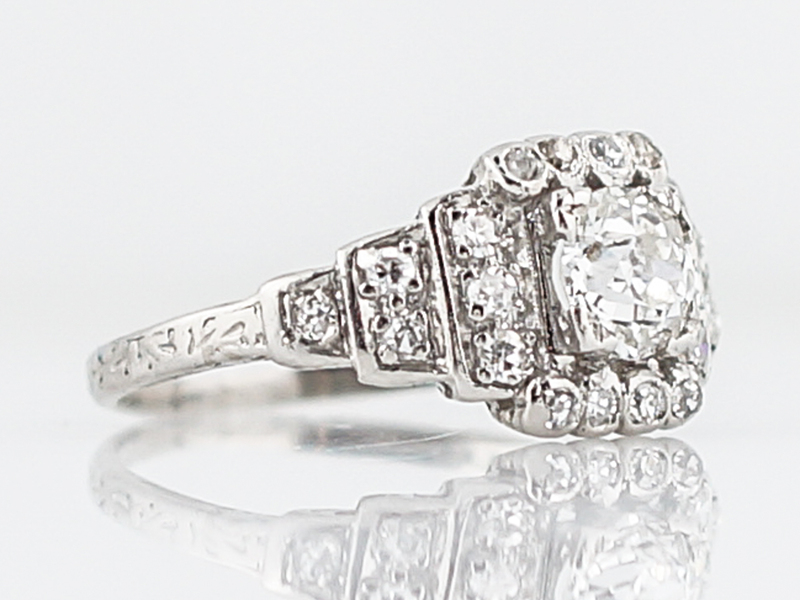 The center diamond in this antique ring is a lovely old European cut diamond that is a G/H color grade and VS2 clarity grade. 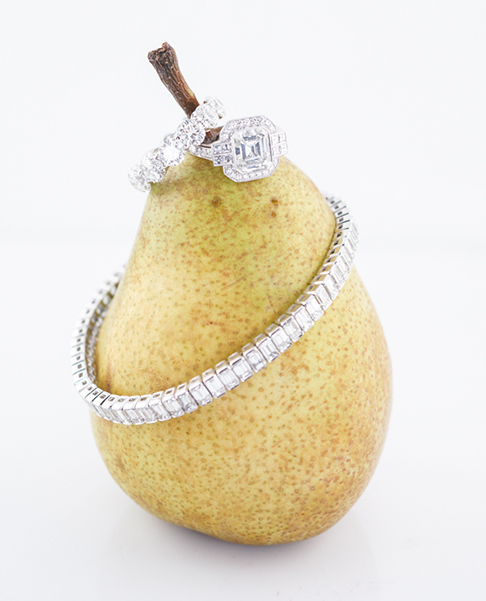 The focal diamond is surrounded by another half carat of diamonds meaning this beauty sparkles from every angle. 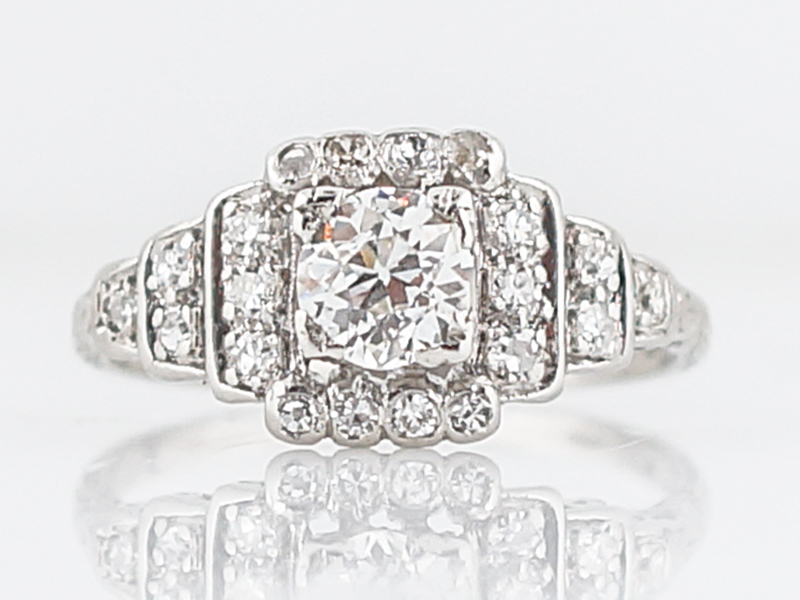 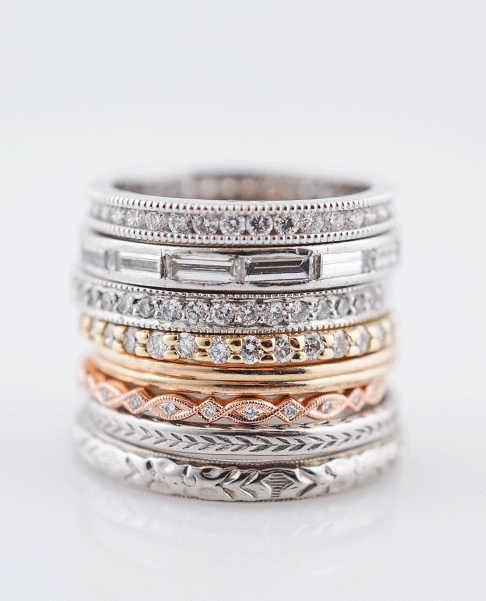 The band also has an engraved pattern that adds more visual interest to this ring. 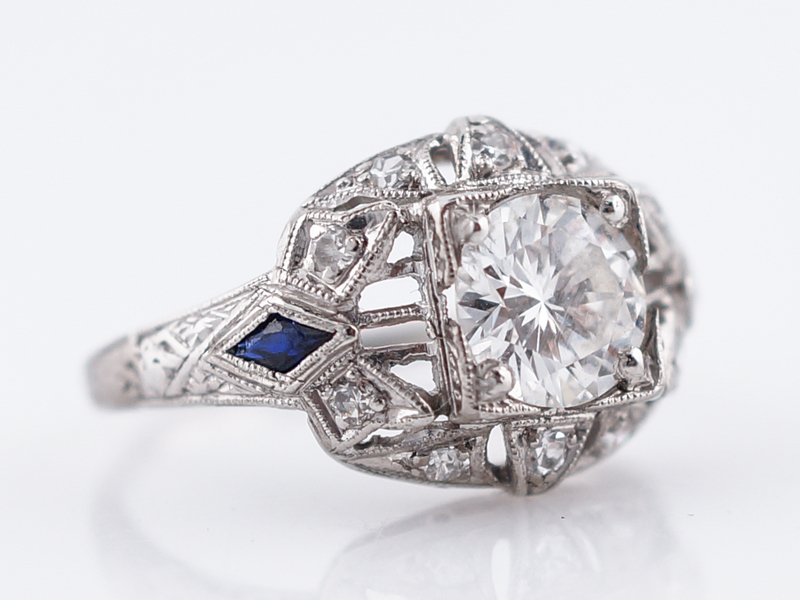 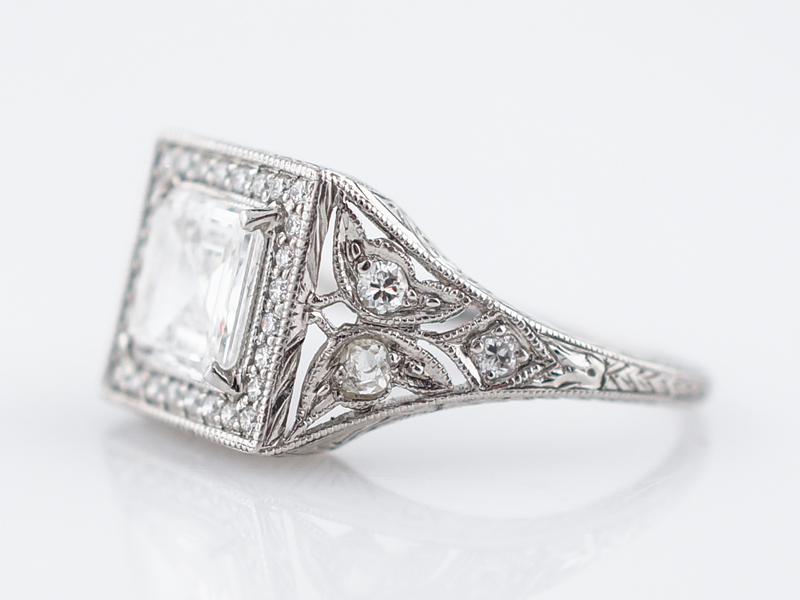 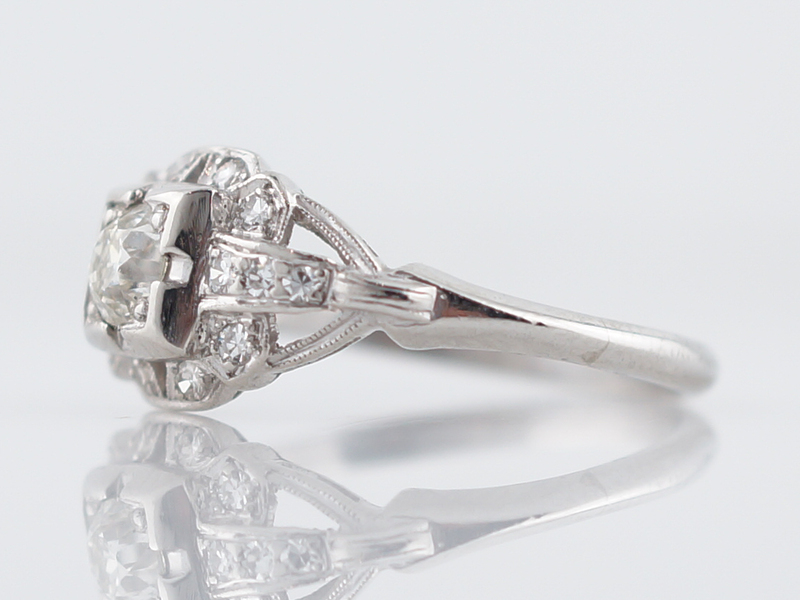 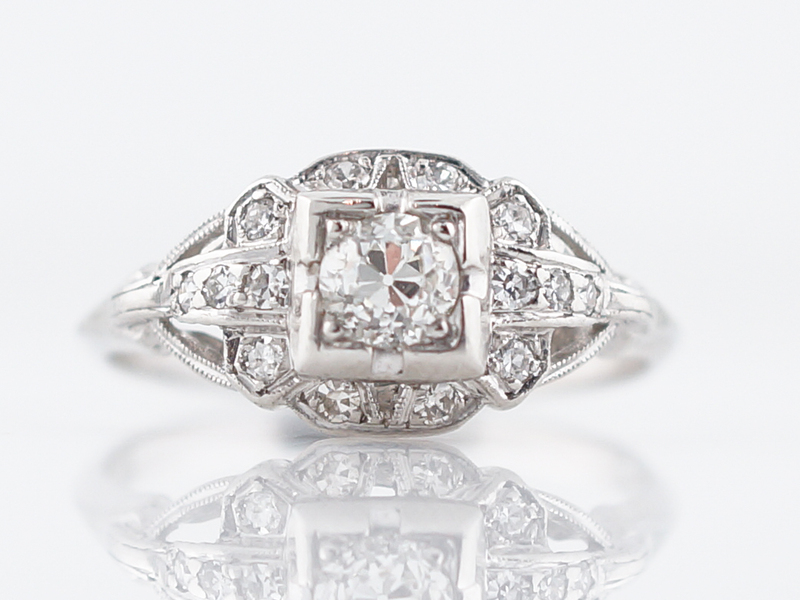 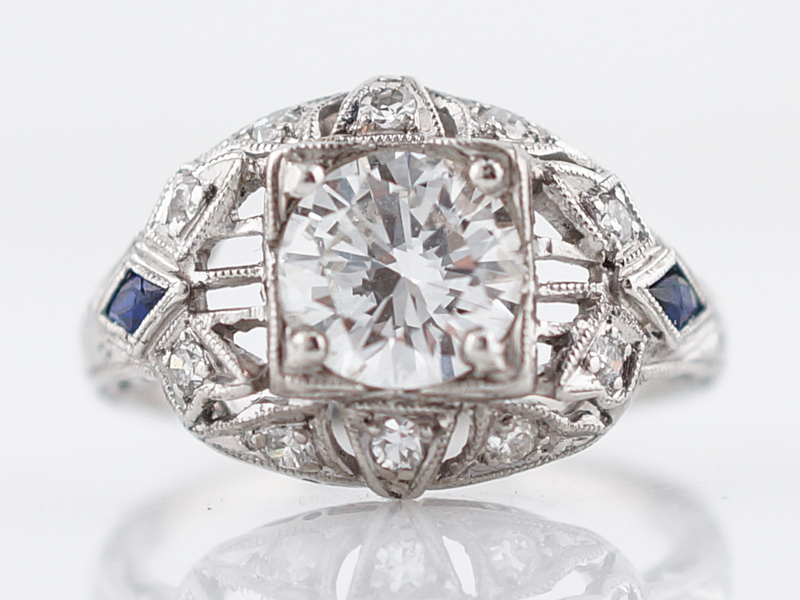 This original Art Deco piece is made with platinum.